This zone represents the area at which Merchants and Service Providers can Market, Advertise or Promote their products or services and still make a profit, but it is not significant enough to meet their ideal standards. The boundaries of the Gray Zone are different for every Merchant or Service Provider depending on a variety of different factors, but typically a Merchant or Provider does not want to advertise a price/bid within this zone. This zone represents the area at which Merchants or Service Providers sell at a price/bid based on true competition. This is where pricing/bidding parameters take control and selling price/bid is reflective of how those parameters adjust the price/bid when engaged against a price/bid to beat. The outer boundaries for this zone are different for each Merchant or Service Provider, but every Merchant or Service Provider is happy to price/bid within this zone. This zone represents the area at which a Merchant or Service Provider prices/bids exceeding their Optimized Price/Bid. Usually this is their listed or advertised price/bid. Profits are maximized. Merchants and Service Providers can usually offer this price/bid when there is no competition. The beauty of Price Setter is that Merchants and Service Providers can continue to Market and Advertise at this price, and still be able to price/bid in the Optimized Zone when true demand presents itself. Competitor Price/Bid is always variable and will depend on what price/bid a user finds to engage the Merchant or Service Provider. 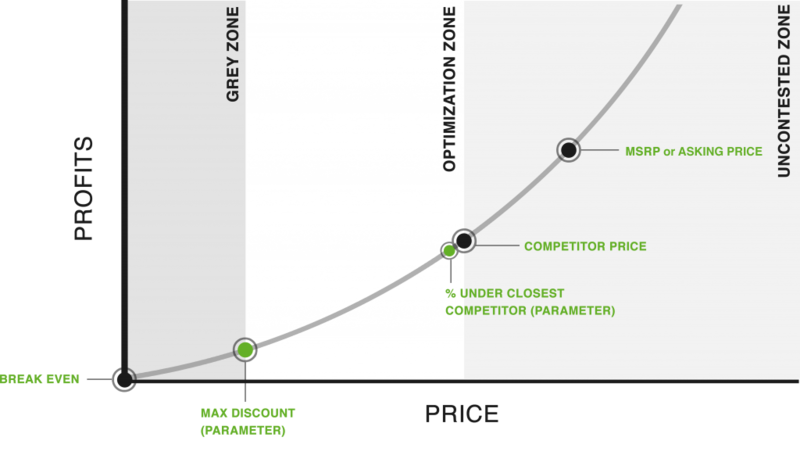 Competitor price/bid has a direct correlation with the Optimization Zone. In other words, when the competitor’s price/bid is high, the high end of the Optimization Zone will increase positively. When it is low, it will decrease. It will have no effect on the lower boundary of the Optimization Zone. Pricing Parameters make it simple for Real Estate Agents to adjust their asking fee on the spot when a lead compares them with another Agent. Instead of having to negotiate an asking fee with a lead one-by-one, we let Agents set their parameters on Price Setter. Anyone looking for an Agent to represent them can use the Price Setter platform to engage multiple Agents on the spot, in real-time and get the best deal. After Price Setter has matched the Agent with a lead, a confirmation number will be sent to the Agents account. Real Estate Agent Parameters consist of: a standard Asking Fee Amount Percentage, Decrement Discount Percentage, and Bottom Line Asking Fee Percentage. Agents can set different parameters for each property pricing bracket and also different parameters for property buyers vs property sellers, commercial vs residential. This Parameter determines what your standard asking fee would be for a property in the proposed pricing bracket. Naturally, if you have no competitors you’re able to set the market higher, which would yield more profits. However, leads generated by the Price Setter platform do so expecting some sort of discount so it may be a good idea not to set it at 3% (6% as a sellers agent) or above. Your Bottom Line Asking Fee Percentage helps you set a threshold. It’s the lowest you’d be able to offer your services for. When a lead engages multiple Agents, Price Setter compares Agents by the Bottom Line Asking Fee Percentage they set. The Agent with the best deal will be matched with the lead. Why go lower than you have to? The Decrement Percentage parameter helps Agents undercut their closest competitor by the amount they input. If you win an engagement Price Setter will take the input you entered under the Decrement Percentage parameter and subtract it from the next closest competitor that way you’re not always giving out your bottom line price, or in this case your Bottom Line Asking Fee Percentage. Using Price Setter New Car Dealers can Market, Advertise or Promote their products by setting their own pricing/bidding parameters which include a Maximum Discount percentage and a Decrement percentage. Dealers who use pricing/bidding parameters don’t need to advertise their bottom line across the board all of the time. Using Price Setter the prices/bids adjust automatically only when and if necessary and only for each individual transaction in response to who the lead is comparing them to, who their competition is and what their pricing/bidding parameters are at the moment the lead requests the best price/bid, the price/bid on their website is not affected; a real win-win deal. 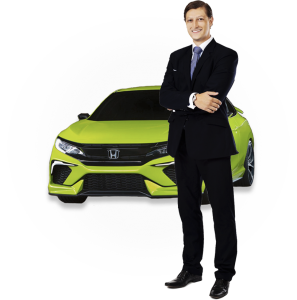 This parameter lets Dealers set the maximum discount/bid allowable on the specified vehicle. If a lead finds the same vehicle at a lower price/bid from a competing dealer, the price sits above the parameter threshold, and the lead engages your dealership to compete against the price/bid, Price Setter will automatically adjust the price/bid of your vehicle at or below the competitor’s price depending on the Decrement Percent parameter you have set. It’s a one time adjustment and it does not affect your advertised price/bid in any future instance. If the competitor’s price/bid falls below this threshold then Price Setter will not adjust the price/bid of your vehicle. Why go lower than you have to? The Decrement Percentage parameter helps Dealers who win not have to give away their Max Discount on a vehicle. Price Setter does this automatically by using the Decrement Percent parameter entered by the Dealer to undercut the next closest competitor who offered the second best deal. The Decrement Percent interacts with the Max Discount of the closest competitor. A simple formula helps every winning Dealer save more money. Price Setter has created a solution for Online Stores who want to Market, Advertise or Promote their products and engage comparison shoppers. Instead of keeping their prices/bids static for every single customer who visits their website, Online Stores need to be able to offer a flexible price/bid to customers who may have found a better deal elsewhere, without having to change their advertised prices/bids. Price Setter allows Online Stores to set up custom parameters which allow them to do just that. These Parameters include an Asking Price, a Maximum Discount Percentage, and a Decrement Percentage. 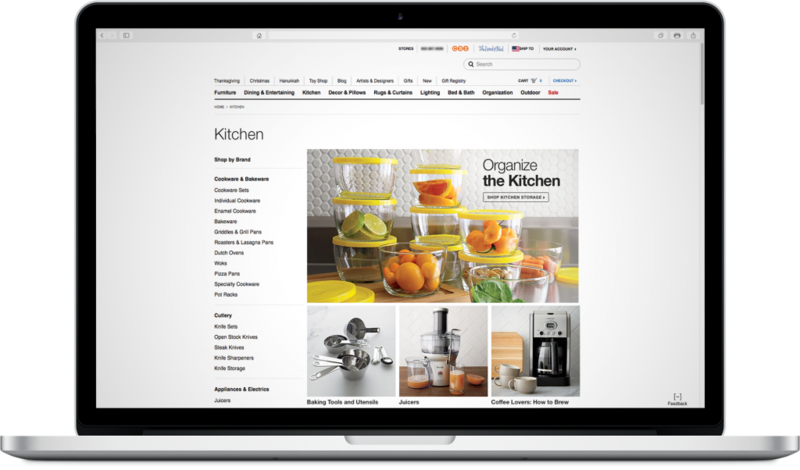 Online Stores who use these parameters can expect to retain more comparison shoppers. This Parameter determines what your standard price/bid would be for your product and this will be the price/bid that will be displayed on the front end of your website on your product description page. Naturally, if you have no competitors you’re going to able to sell your product at this price/bid with no problem therefore Price Setter will not make any adjustments. This parameter lets Online Stores set the maximum discount allowable on the specified product. If a Shopper finds the same product at a lower price/bid from a competing online store, the price/bid sits above the parameter threshold, and the Shopper engages your store to compete against the price/bid, Price Setter will automatically adjust the price/bid of your product at or below the competitor’s price depending on the Decrement Percent parameter you have set. It’s a one time adjustment and it does not affect your advertised price/bid in any future instance. If the competitor’s price falls below this threshold then Price Setter will not adjust the price of your product. Why go lower than you have to? The Decrement Percentage parameter helps Online Stores beat out their competitors without having to resort to giving away their Maximum Discount. Price Setter does this automatically by using the Decrement Percent parameter entered by the administrator of the Online Store to undercut the price to beat entered by the Shopper. The Decrement Percent is subtracted from the price to beat of the competing online store. This simple parameter helps every Online Store save more money.